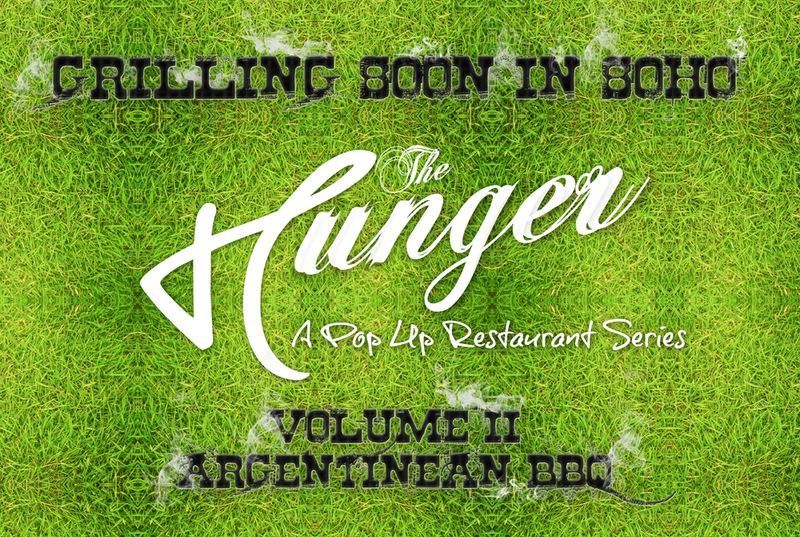 The Hunger Series is a pop-up themed restaurant concept developed by Top Chef alum Camille Becerra and hospitality gurus Alan Philips and Josh Shames of SKY Group. The core focus of The Hunger concept is to create memorable culinary and social moments that exist briefly and then disappear. The evenings will be set up like a fabulous dinner party, where all guests sit at the same time and simultaneously share an evening. A moment in time similar to the many great moments that take place every day in New York, and then fade out as quickly as they popped up. Kinda of like the supper clubs happening around the city...except these are open to everyone! This edition will feature a delicious asado style Argentinean BBQ from Monday, August 2nd until Friday, August 6th at The Yard at The Soho Grand Hotel (310 West Broadway). Reservations are $65 per person, which includes tax and tip and seating will take place each night between 6pm and 10:30pm. 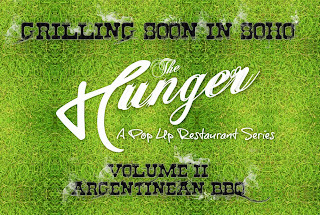 For more information or to reserve your seat, visit thehungernyc.com.